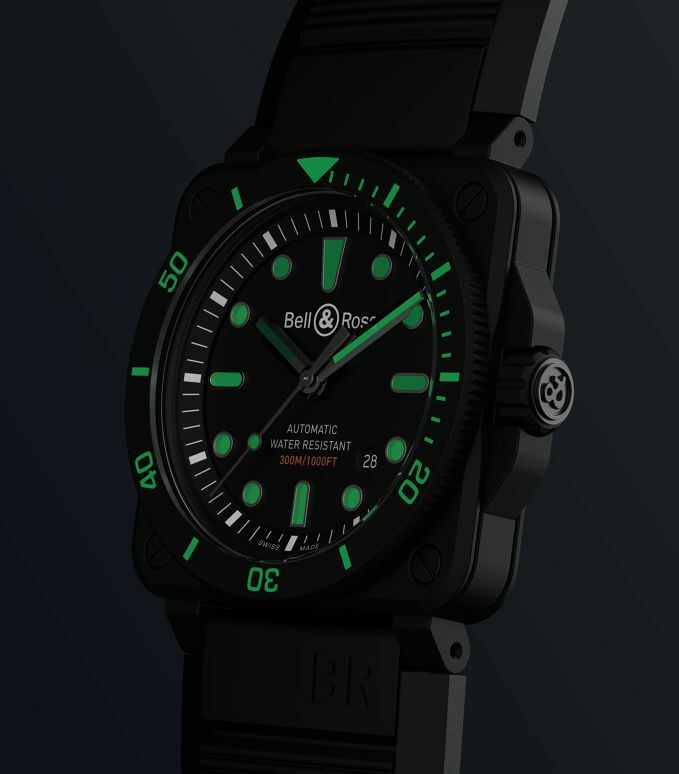 The matte black ceramic is perfectly in tune with the aeronautical codes so crucial to the Bell & Ross philosophy. In the world of aeronautics, and especially space, ceramic is predominantly used in manufacturing parts that are subjected to very high temperatures, acid attacks, corrosion and erosion. As a result, it is found in products such as thermal shields and aerospace rocket's noses. 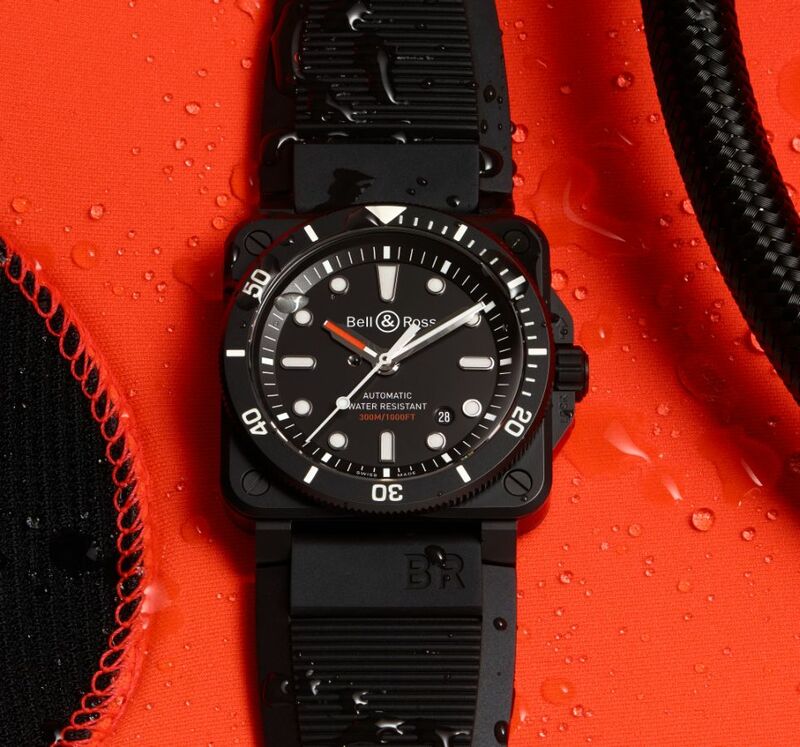 As part of its on-going quest for excellence, Bell & Ross has reworked the high-tech ceramic and developed a special manufacturing process in its workshops. It enhances the intrinsic qualities of this material, which is virtually scratch-proof, pleasant to wear, soft to the touch and thermo-regulated, instantly reaching body temperature when worn. 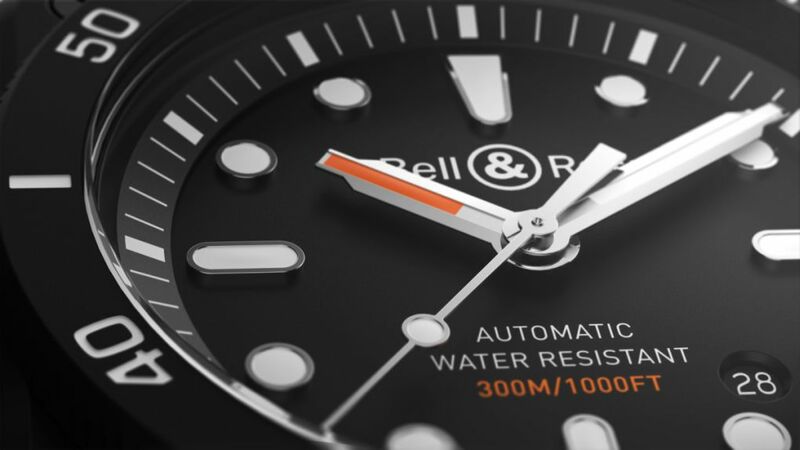 Almost as tough as a diamond, the high-tech ceramic developed by Bell & Ross is incredibly hardwearing, non-deformable, lighter than steel and hypoallergenic. The case, in matte black ceramic, measures 42mm. Unidirectional rotating ceramic bezel with 60-minute scale. It has an AR-coated sapphire crystal and it is water resistant to 300 meters. Movement is the Swiss automatic Bell & Ross caliber 302 with 25 jewels, 28,800 vph and a power reserve of 38 hours. Functions are: hours, minutes, seconds and date. It has a black dial with metal appliques. SuperLuminova numerals, indices and hands. It comes on a woven black rubber and ultra-resilient black synthetic fabric strap with a black PVD steel buckle. except I like this one less. Maybe it's the strap design? 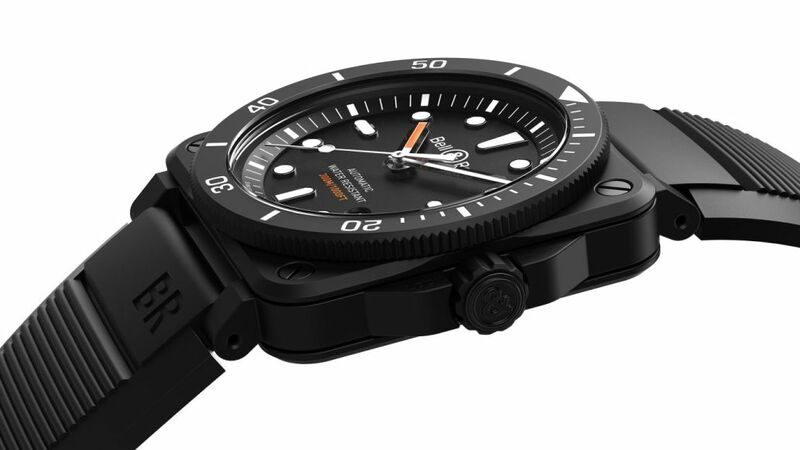 I understand these square, flight-instrument-shaped watches in aviation inspired watches, but why a diver? Isn't a round watch easier to make water-resistant than a square one? Could be a great buy on the pre-owned market. This is how I read this: "Movement is the Swiss automatic Bell & Ross caliber 302"
Well, are they? That would be really cool. Otherwise is false advertising. Millions of ETA movements were sold as Omega, Breitling, IWC, and Tag Heuer calibers. The B&R 302 is suspected to be a Sellita SW300. Next Topic: Baselworld 2019 - Grand Seiko Spring Drive 20th Anniversary L.E.